On our drive home from the Netherlands we were set to pass right by Cologne, so we decided to stop and check it out. Cologne, or Köln in German, is home to Germany's greatest Gothic cathedral and that was our first stop after parking. The cathedral, the most ambitious building project north of France in the 13th century, was stalled in the Middle Ages and not finished until 1880. 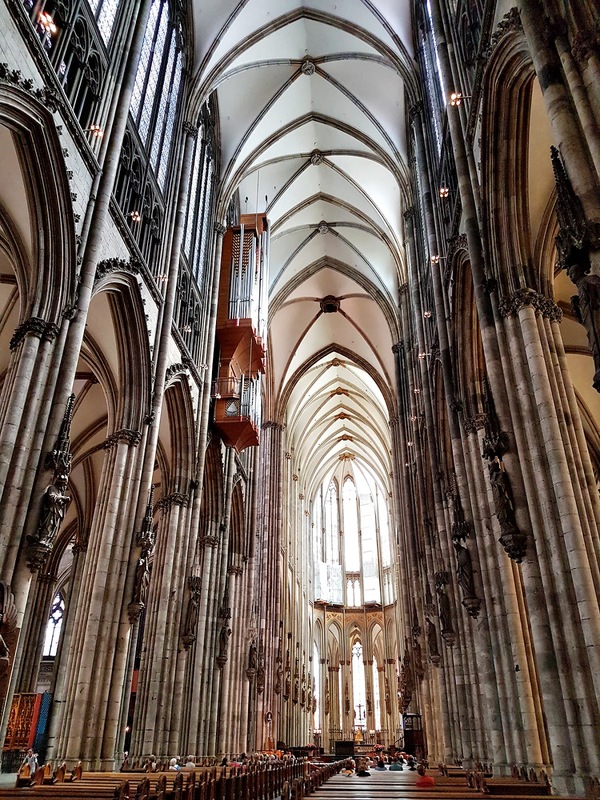 Even though most of it was built in the 19th century, it's still technically a Gothic church rather than "Neo-Gothic" because it was finished according to its original plans. The church was begun in 1248 and was first inaugurated in 1322. Inside the 140 foot ceiling towers above. Stained glass, enough to cover three football fields, fills the church with light. The windows at the east of the church are medieval originals, while those along the nave are from the 19th century when that portion of the church was finished. Out in front of the church on the Roncalli Platz is a Roman arch. It was the north gate of the Roman city and dates from A.D. 50. Leaving the square we circled around to take in the whole grandeur of the Dom. Beautiful! Just behind the cathedral is the Roman-Germanic Museum. You can see it's prize piece for free by peeking through the large front windows. An intact mosaic floor that was once the dining room for a rich Roman merchant is preserved in its original position as what was then street level (the museum was actually built around this). Then we continued down towards the river. 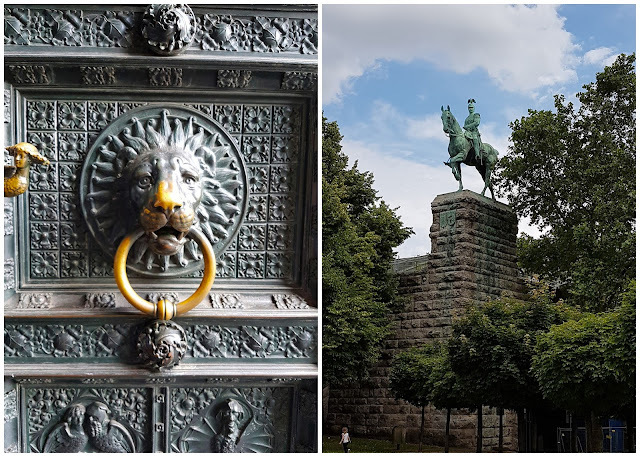 On the right is a statue honoring Kaiser Wilhelm II who paid for the Hohenzollernbrücke (below). The Hohenzollernbrücke is the busiest railway bridge in the world with 30 trains an hour all day long crossing it. It's a classic Industrial Age design from around 1900. While it was destroyed during WWII, it was rebuilt in the original style. Just upstream from the bridge is the cutest row of houses in the whole city on the Fish Market Square. The tower of Great St. Martin Church looms above. 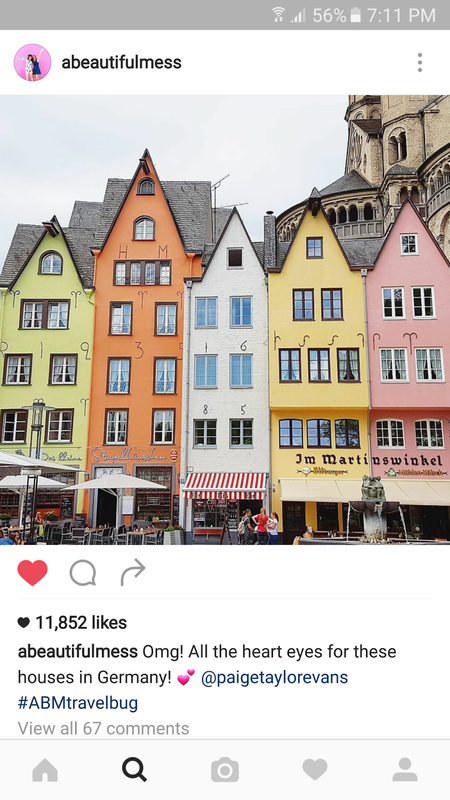 I shared a photo of these adorable houses on my instagram and was so happy to see that A Beautiful Mess regrammed it! 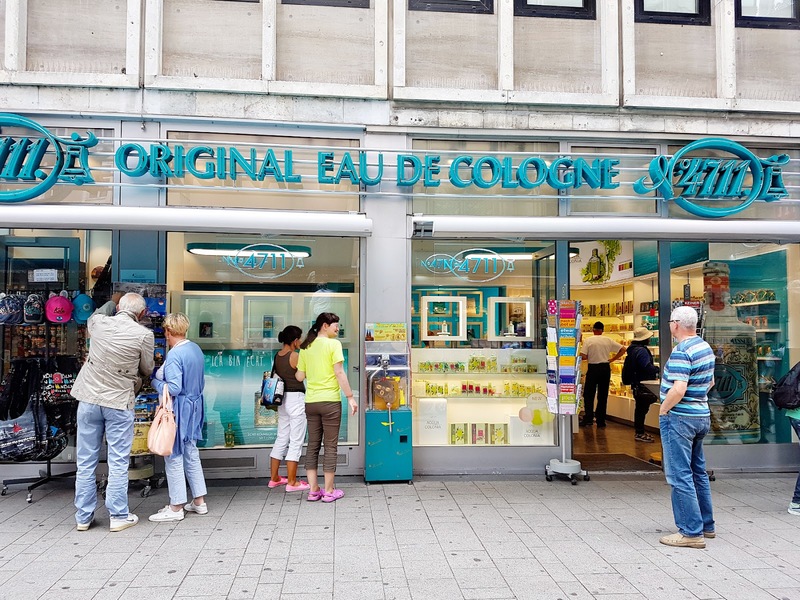 During WWII, bombs destroyed 95 percent of Cologne. It was mostly rebuilt in a modern style. Despite the destruction during the war, somehow the City Hall survived. The tower dates from the 15th century and symbolized strong civic power against the power of the church bishops while the Renaissance porch in front is the only historic facade that was left standing after the war. The carvings on the facade stress civic independence and feature scenes from the Bible, like Daniel in the lions' den and Samson fighting lions. 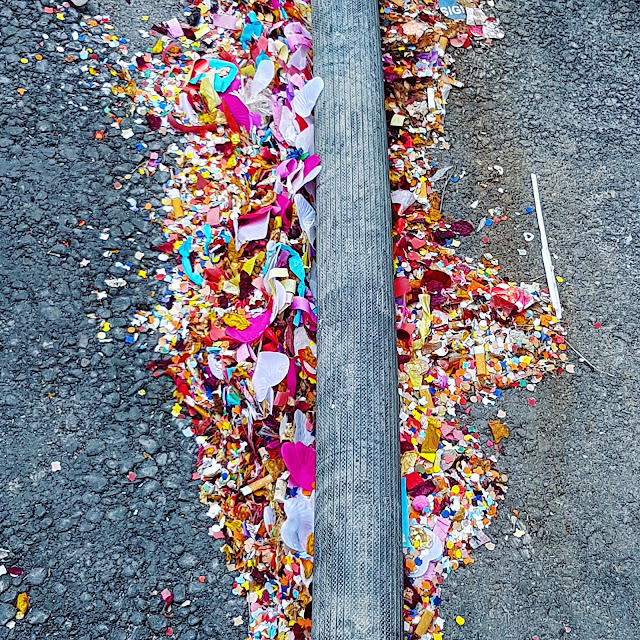 Rick Steves said the City Hall is often busy with wedding parties, and not only did we see some confetti leftover from a previous wedding, we saw another wedding just finishing up! 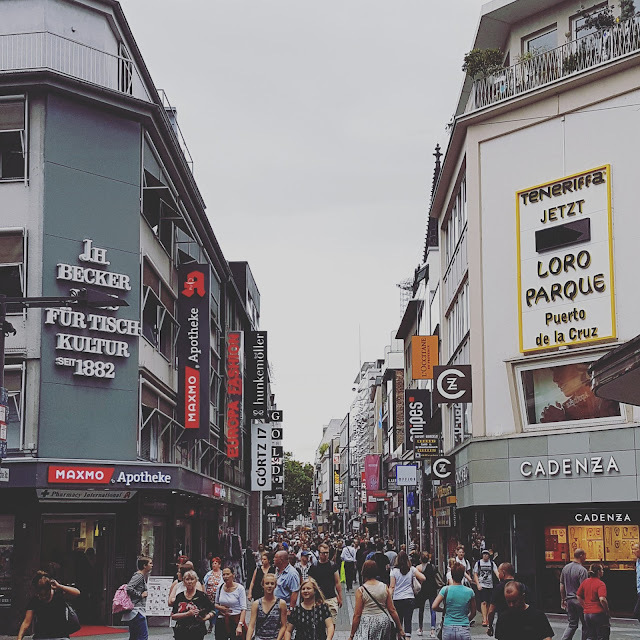 Then we made our way to Hohe Strasse, the city's busy pedestrian shopping street. 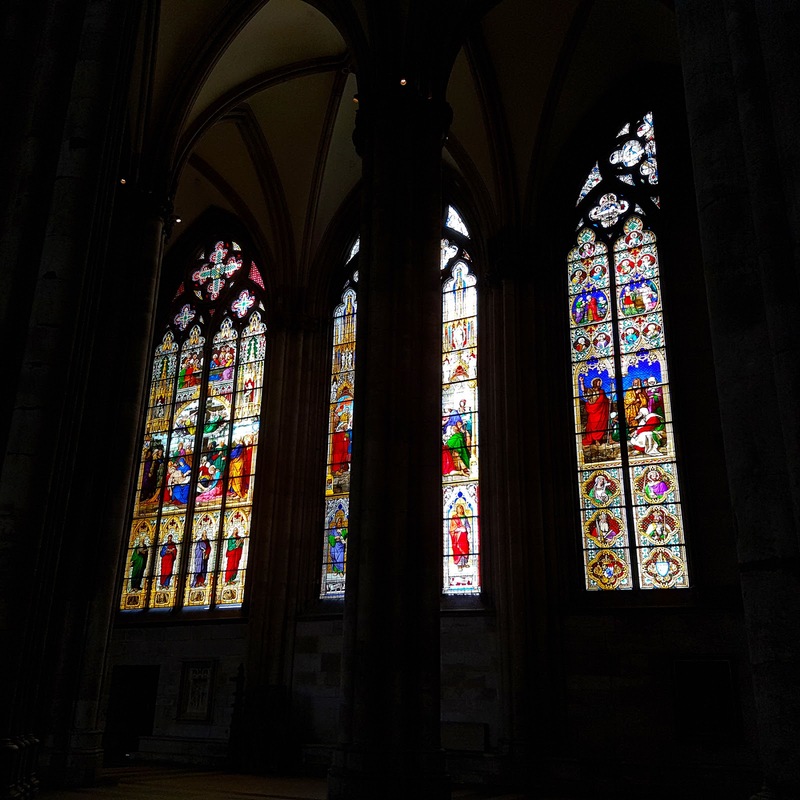 The street thrived during the Middle Ages when Köln was a major player in the Hanseatic League of northern European merchant towns. 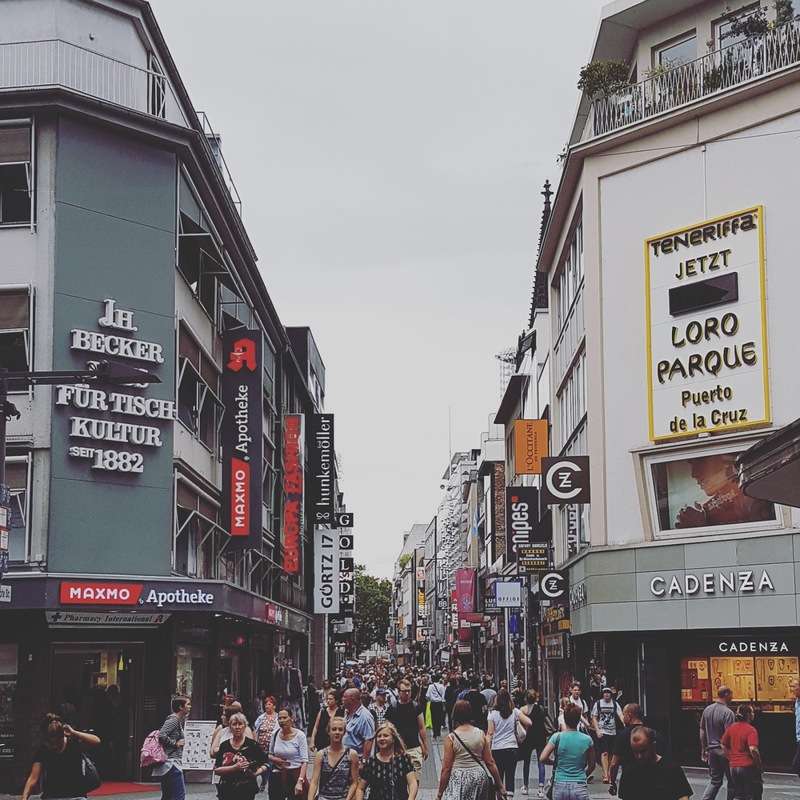 The street was rebuilt after its complete destruction during the war and was the first pedestrian shopping area in Germany. The best part of the street? 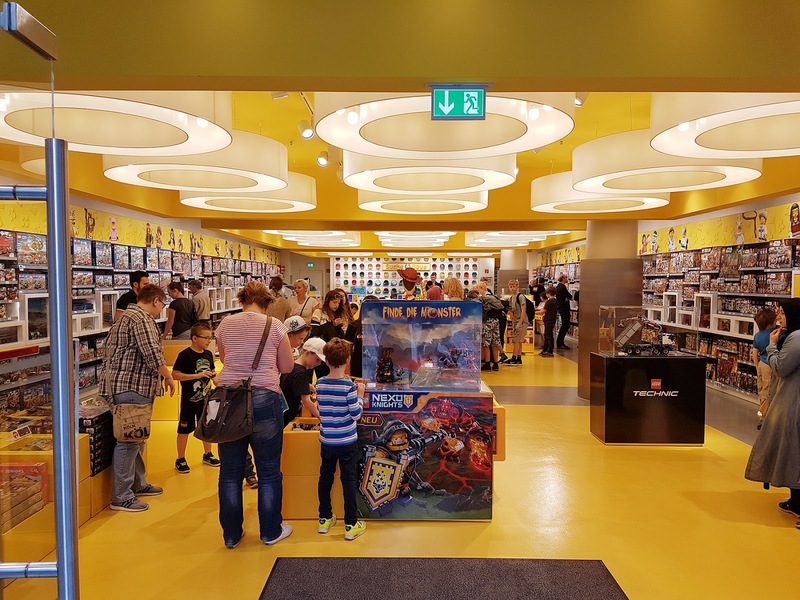 A Lego store! 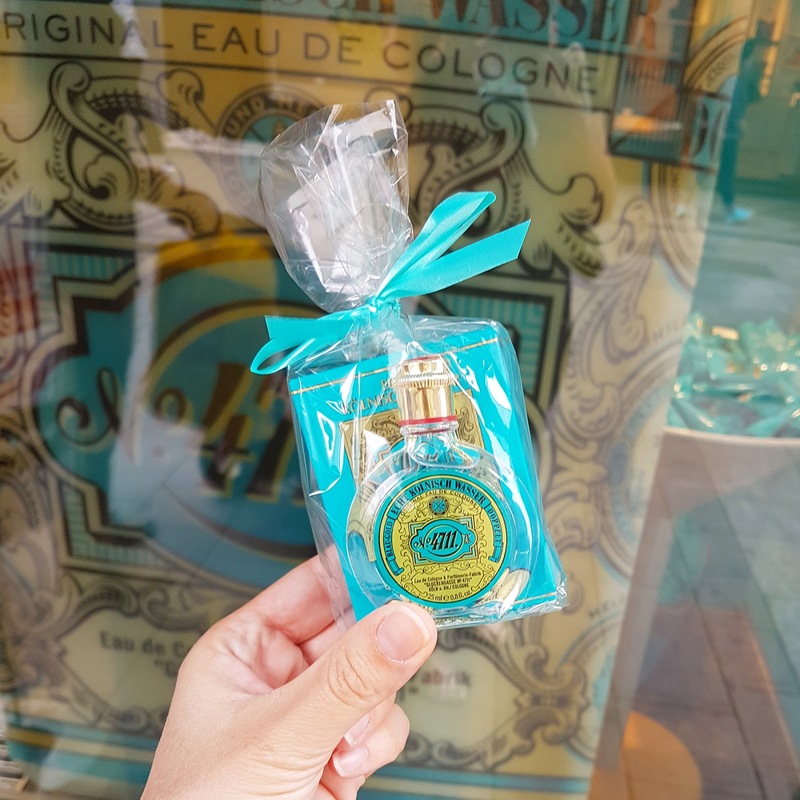 Ever wonder why men's fragrance is called cologne, or more properly Eau de Cologne? Because it was invented right here in Cologne! The first company to make it was 4711, named after the address that the company was housed in. Our very own bottle of cologne from Cologne. The Evans family in Cologne, Germany on Tuesday July 12th 2016. After a fun stop, we made the excessively long drive home. Autobahn construction is no joke right now, just sayin'. #stau We love home! 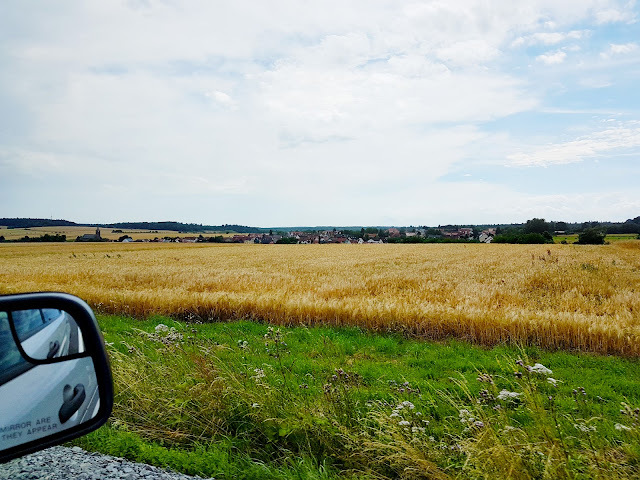 Home sweet home! Wow! 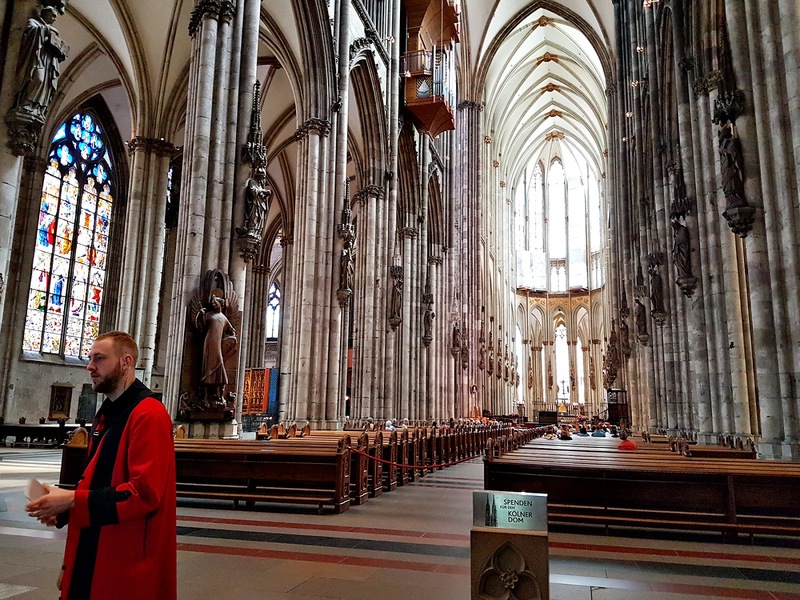 That is a Cathedral! Love the pretty little houses and the leavings of the wedding make for great layout inspiration.